Summer may be winding down, but that doesn’t mean your vacation paradise is over. Break out your hula skirt and lei because Scottsdale Music Academy is excited to announce the newest addition to our list of ever-popular music lessons — introducing ukulele lessons based right here in Scottsdale, no plane trip required! Our new ukulele lessons in Scottsdale are sure to appeal to those adventurous souls who are looking to learn an instrument that is easy, fun, and a little less mainstream than the guitar or bass. 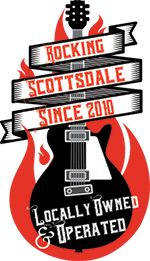 Like our guitar lessons, keyboard lessons and more, our new ukulele lessons are taught by Scottsdale’s most talented and knowledgeable instructors who will make learning how to play the ukulele as effortless as a summer breeze. We’ll equip you with all the music knowledge you’ll need to feel like a born ukulele player capable of tackling even the most challenging ukulele songs and chords. 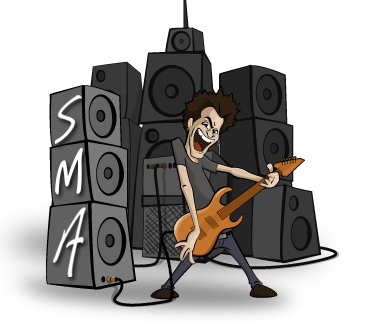 With SMA’s new ukulele lessons in Scottsdale, you’ll be able to bring a little island mood music with you wherever you go! Unlike other instruments that can cost hundreds of dollars, the ukulele is a more affordable instrument. While prices will vary depending on the brand, model, and material, a new ukulele will cost anywhere from $50 to $200 on average. You won’t find a cheaper musical investment than that! One of the ukulele’s strongest appeals is its size. It’s one of the smallest and most lightweight instruments, making it easily portable for music playing on-the-go. Rest assured, bringing your instrument to your ukulele lessons in Scottsdale will never feel like a chore. While the ukulele is known for its soft melodies and beach-inspired tunes, this four-string instrument is more versatile than most people realize. Believe it or not, ukuleles can be used to play any type of music, from jazz to pop to soul….the sky’s the limit! Add a little extra sunshine and joy to your life by signing up for our ukulele lessons in Scottsdale. Enjoy a free music lesson on us and let us help you discover how to get paradise right at your fingertips!